-M.S. 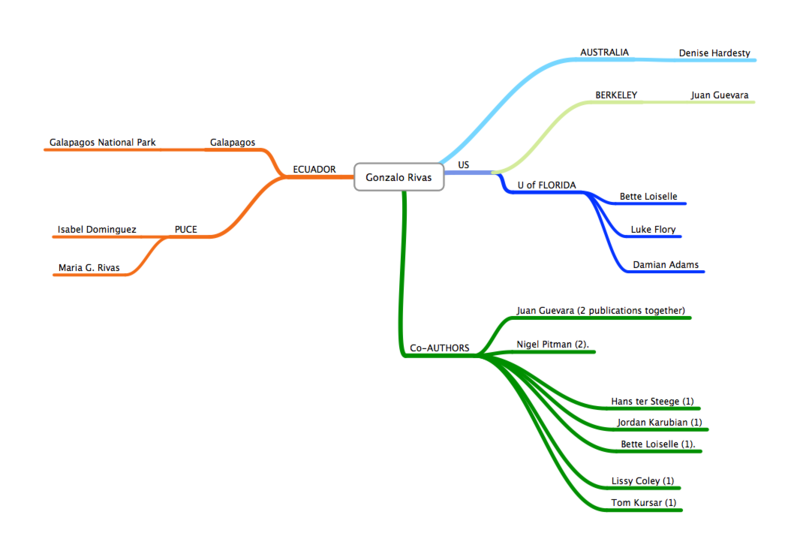 Ecology, Evolution and Systematics, University of Missouri- Saint Louis-2010. -Tropical Conservation Certificate-University of Missouri-Saint Louis-2010. -B.A Biology, Universidad Catolica de Quito-2004. 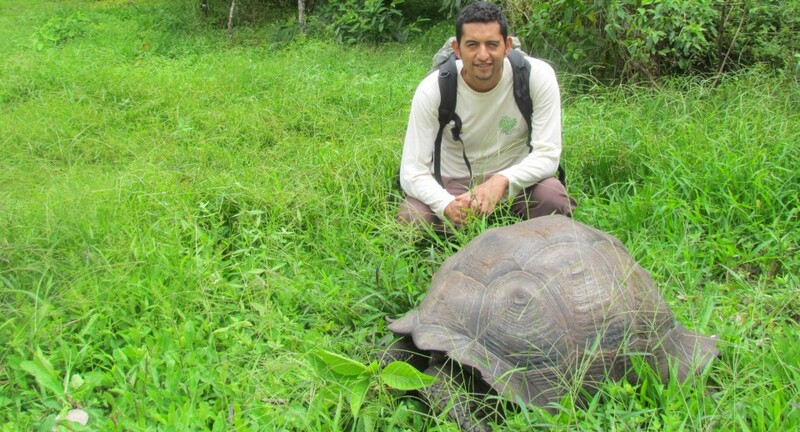 GEOGRAPHICALLY speaking I am interested in performing ecology and conservation projects of the megadiverse Amazonian forest in Ecuador and the unique ecosystems of the Galapagos Islands. -Tropical Conservation And Development Program: Travel Award. Summer 2012. -Quantitative Spatial Ecology, Evolution And Environment. NSF IGERT: Fellow. 2011-2014. -Organization For Tropical Studies Grantee: Ecology Field Course. January 2008. -Parker-Gentry Tropical Research Fellow: Whitney R. Harris World Ecology Center, UMSL Louis. June 2008. -World Wildlife Fund Scholar: Russell E. Train, Education for Nature Program. 2007. -Organization Of American States Fellow: LASPAU-Americas Leadership Fellowship Program. June 2007/09. -Smithsonian Tropical Research Institute (STRI) Intern, April 2005 – April 2006. ESA 2016 Fort Lauderdale. Oral presentation. ATBC-OTS 2013, Costa Rica. Oral presentation. Evolution Summit 2013 USFQ-GAIAS, Galapagos-Ecuador. Poster presenter. Evolutionary and ecological processes occurring among native and novel plant ecosystems in the Galapagos. 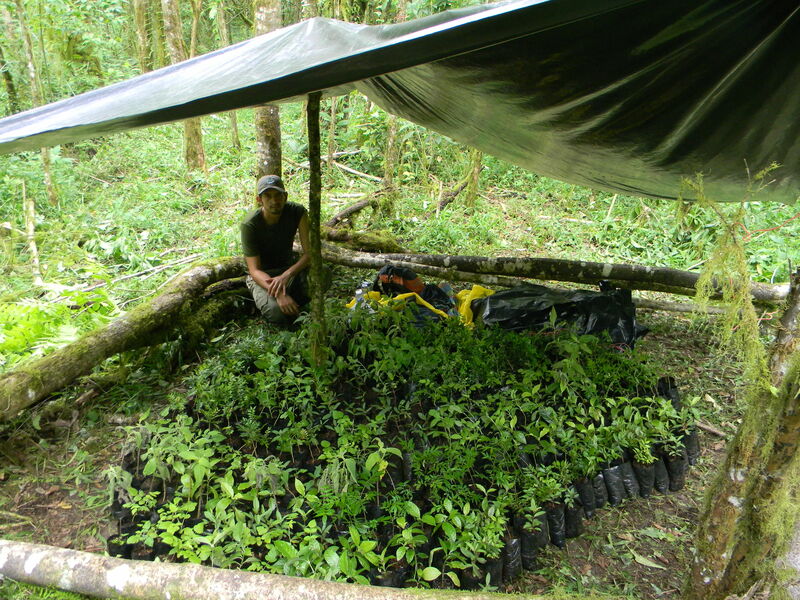 The main objective of my dissertation was to use plant population biology and community ecology as frameworks to understand the mechanisms and ecological interactions that enable exotic plants to invade new habitats. Specifically, my dissertation examined why plant species that are not necessarily common in their native ranges can become extremely widespread, vigorous and therefore noxious in new sites. Using comparative and experimental approaches, my dissertation tested what are the relative individual and combined contributions of key ecological factors that enable introduced plant recruitment in new areas. This research will contribute to our understanding of the mechanisms that lead plant invasions to success. Additionally, I want to start exploring the role of humans in biological invasion processes and their perception about the introduction of exotic organisms into fragile ecosystems. My dissertation’s fieldwork was performed in the Galapagos National Park, Ecuador. As part of my dissertation I also collaborated with the thesis research of two Ecuadorian students. Maria Gloria Rivas did her Bachelor’s thesis at Catholic University in which she investigated (using greenhouse experiments in Galapagos), if Cedrela odorata is having an allelopathic effect that can potentially reduce natives’ and enhancing non-natives’ recruitment capacity. On the other hand, Isabel Dominguez, (who is doing her Master thesis at Catholic University) is interested in understanding how plant species composition is affected when Cedrela is removed as a restoration strategy. I want to give a special thank to the Galapagos National Park and all their staff and park rangers who have been helping in the implementation of our projects in the Galapagos province. Scalesia peducnculata flowers. 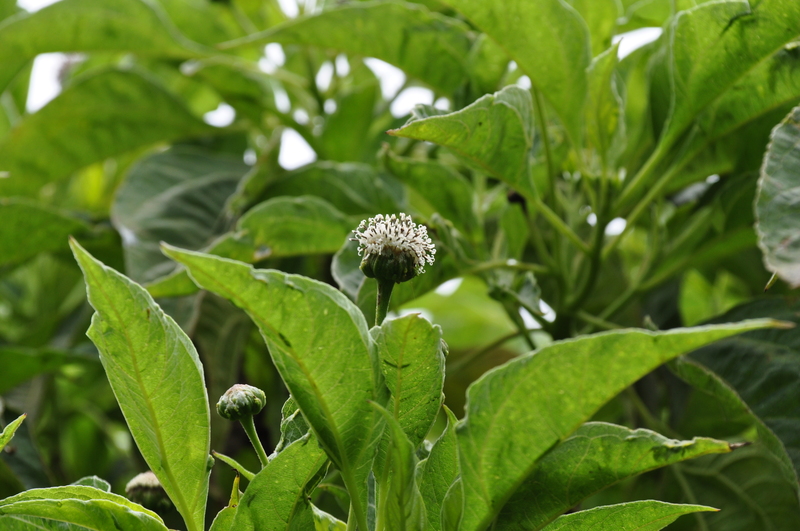 Scalesia is an endemic tree for the Galapagos and since ~mid 1900’s it has been competing with Cedrela odorata, a non-native tree dominating novel ecosystems in the Islands. Scalesia tree growing surrounded by Cedrela adults. All the seedlings from 8 species that were transplanted into experimental plots. 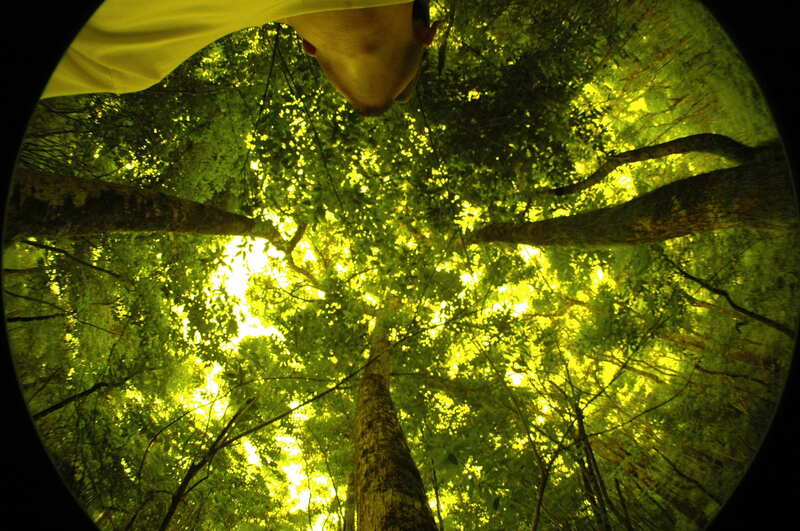 A hemispherical photo used to calculate the amount of canopy covered by Cedrela. ALSO and very important, this page seeks to start a database of investigators working in Ecuador, WHAT are they doing and their present affiliations. I will start presenting my close collaborators BUT, in the near future I expect to have a wider data base of many other investigators working in the country. IF YOU ARE AN INVESTIGATOR in the life sciences (and related fields) and is WORKING IN ECUADOR, please send me your information as presented in the table above and I will include you in this list. So far this is a very basic attempt to “map” investigation efforts in the country. BUT I expect to expand this in the future to be able to analyze gaps in research and therefore promote collaboration to fill those gaps.